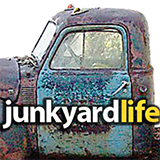 Sell your old car or truck online. 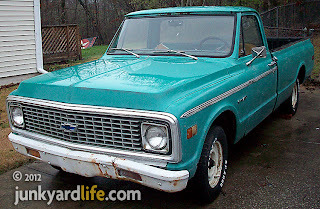 I sold my 1972 Chevrolet C10, using the internet, to a buyer in Pennsylvania. Call me a skeptic, but it sounded odd that someone 800 miles away would buy my old truck without seeing it in person. I placed an ad on craigslist and in The Birmingham News classifieds. Part of the News' package included placing my ad on al.com. It was just my luck that a lady in Pennsylvania called me up wanting photos of the truck. 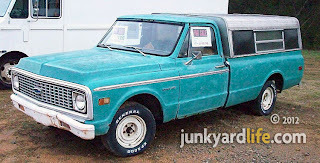 She was surfing the web for a good deal on a 1972 C10 to buy for her husband. This prospective buyer was eager and willing to go the extra mile to purchase the truck. My scam-alert went off. She offered to mail a credit card check right away. I worried that I could be arrested for cashing this possible bogus check. I asked friends and family for advice. They reassured me PayPal was the answer. For novices like myself, PayPal is owned by Ebay, the online auction giant. Setting up a PayPal account lets any individual or business with an email address to securely, easily and quickly send and receive payments online. My buyer said 'no, problem, I can do PayPal'. Whew, after several days, the PayPal money is in my bank! PayPal transactions can take 3-5 business days before they are cleared and moved to your bank account. Be ready to deal with this delay. You don't want to mail a title out to a buyer until their money has cleared. A dozen emails and a few letters containing the Bill of Sale and miscellaneous paperwork were mailed and returned. All that was left to do now, was wait for a transport company to pick up the truck. Dan Stephens with Quality Transport readies truck for haul to Pennsylvania. Delay number one - Trucking company lost the key to the back door of their truck, would not make it out that day. Delay number two - same trucking company got lost the next day, then their truck broke down on the way to my house. A different transport company was called to take the job. A friendly, pierced and tattooed fellow with Quality Transport and Leasing arrived to usher the green truck to Pennsylvania. So long, Chevy. I miss you already. Chevy orange paint dressed up the 307-cu. inch V8 engine. I'm a car guy. I love to buy older vehicles, work on them and and make them run better. Trouble is, I just had vehicle number eight towed home recently. Something had to go. 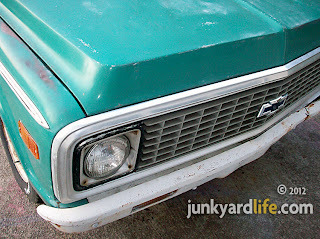 I had spent a little time and money rehabbing the somewhat tired old truck. 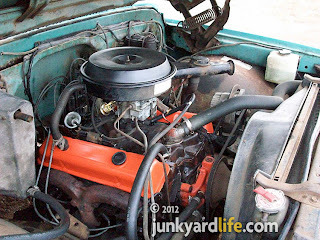 A new gas tank and a carburetor rebuild joined my growing tab of C-10 expenses. 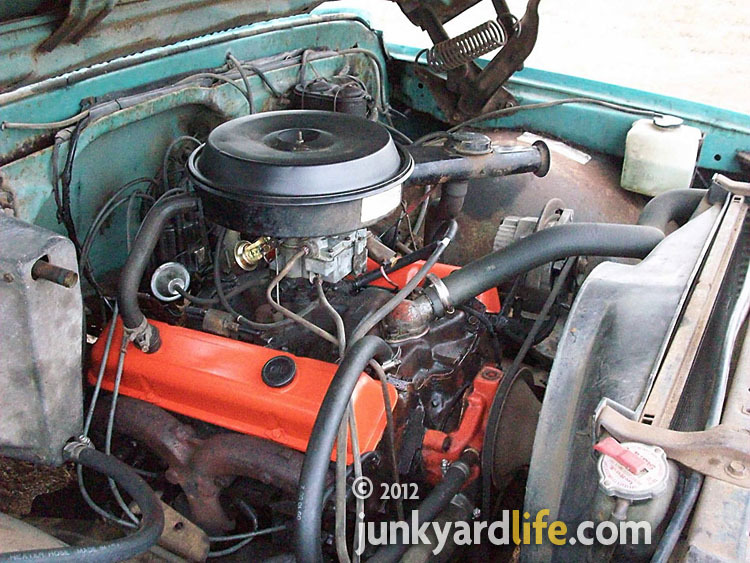 New spark plugs, wires, points and condenser and the 307 engine purred like a sewing machine. 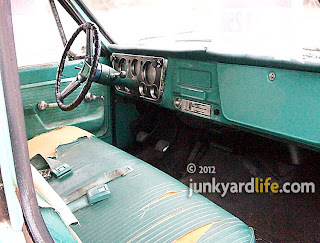 The trouble was actually driving the '72 Chevy because it had the road manners of the S.S. Minnow. 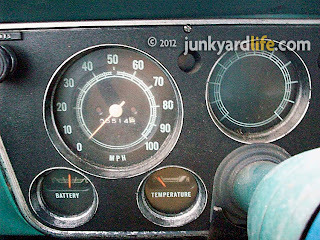 Constantly correcting the direction I steered the truck as it wallowed down the road with 40-year-old manual steering and brake components. The old truck's shortcomings outweighed the dollar amount I deemed worthy to fix them. A good wash and the '72 Chevy looks slick, even without the camper top. Basic green on green, 3-speed column shift, C10 Chevy truck. It was a love it or hate it thing for buyers who responded locally to the ad. They loved the look of the '72, but wanted the short-wheelbase variety. Luckily for me the internet opened up my truck to a world of possible buyers. The buyer was a woman who wanted to surprise her husband with a gift. 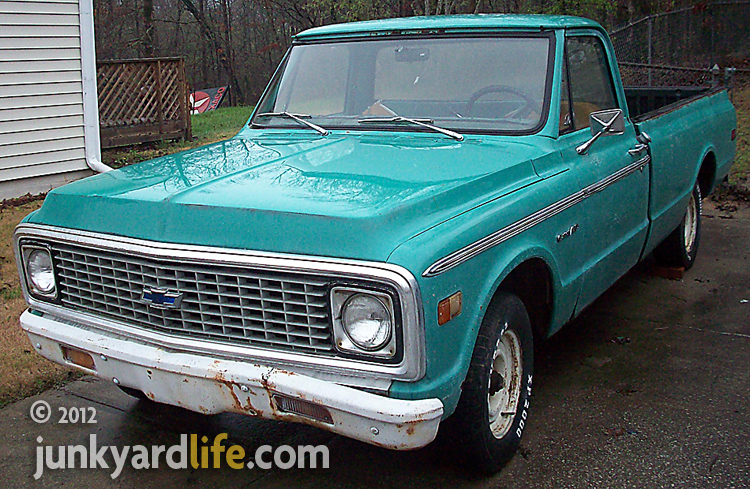 An 800-mile trip from Alabama to Pennsylvania awaits the 1972 Chevy C10. My story ended successfully but that doesn't mean I should let my guard down. There are plenty scam artist waiting to take your money or your car. Be very careful, do your research and expect the unexpected. Go the extra step to make sure your not being scammed. It is best to keep the conversation ongoing with the buyer or seller. Ask too many questions. Do you have their home phone number and address? A face-to-face meeting on skype may bring the trust level up for both parties. Also, do not rush a payment out just to get a good deal. My mother-in-law offered to buy lunch if my online buyer turned out to be legit. I'm hungry. 105k showing on the 1972 Chevy's odometer. 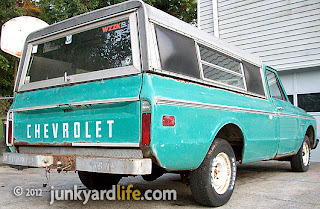 No luck locally selling the '72 Chevy on the highway. 1967-72 Chevy trucks have a huge following. I may have to find another one soon.